The personal information that we collect includes your name, address, city, state, zip, telephone number, and e-mail address. In addition, we may collect your credit card or bank account information as part of a donation that you make. We may use your information to process your donation, or issue a tax receipt for your donation. We may also use your information to add you to our mailing list for newsletters and other organizational communications. If we add you to our mailing list, you will always have the option to be removed from that list at any time. If we collect your credit card information, it will only be used to process your donation. If you would like to be removed from our mailing list, please use the “contact” page on our website. Simply give us your name and address and indicate your desire to be removed from our list in the message section of this form. You may also call our office at (419) 720-9566 to be removed from the mailing list. RadiantTV will never trade, share or sell your personal information with anyone else, nor send donor mailing on behalf of other organizations. We guarantee that your identity will be kept confidential. Your personal information will only be used for internal RadiantTV purposes. 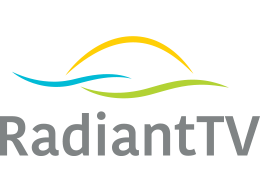 RadiantTV uses Secure Socket Layer (SSL) Protocol when collecting or transferring sensitive data such as credit card information. With the SSL technology, the information you enter while making a donation will be encrypted before traveling over the internet. After we receive your credit card information, it is only used to process your donation.